The new deal will supply Google’s Iowa data center with up to 407 megawatts of wind power. 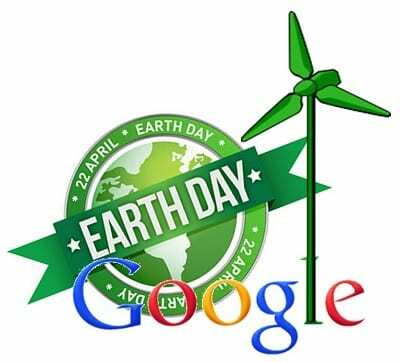 On Tuesday, April 22 – Earth Day – Google improved upon its already green image by announcing its new contract with MidAmerican Energy, a renewable energy company that will supply Google’s data center in Iowa with power from its wind energy farms. Although the largest, this is only one of several renewable energy purchase agreements the internet company has made. Google is no stranger to clean energy and the deal the company signed with MidAmerican Energy was not a sudden decision. The company stated it had been discussing plans for its Iowa data center with the clean energy company since 2007. As much as 407 megawatts of renewable wind energy will be used to power the $1.5 billion Council Bluffs data center in Iowa. The data center will receive power from several of MidAmerican Energy’s wind farms. This includes its Wind VIII site, a new wind farm that will have a total of 448 wind turbines once the project is completed next year. In addition to wind energy, Google has invested in many other green energy projects worldwide. Back in 2012, Google signed an agreement (similar to its latest contract with MidAmerican Energy) with Oklahoma utility, Grand River Dam Authority, and another one at the start of the year with Eolus Vind, a Swedish wind energy company, to power its data center in Finland. In addition, globally, Google has invested approximately $1 billion in 15 different renewable energy projects. With this latest agreement, Google’s present needs in the Iowa area are not only fulfilled, but it also enables the possibility for further expansion down the road. With this new wind energy deal, the multinational corporation currently has contracts for over 1,000 megawatts of clean power production capacity.